Oil on wood, 50 x 37 cm (19.7 by 14.6 in). Signed and dated "1927". On the reverse: with the exhibition label of the Munich art group "Der Bund eV", a literature-copy with a self-portrait of the artist from the year "1936" and the handwritten note: This picture was exhibited "1927" at the art exhibition "Glaspalast" (glass palace) in Munich, with the no. 906. Provenance: Art Exhibition Glaspalast Munich 1927; Collection of the German publisher Hermann Reiner, Babenhausen. 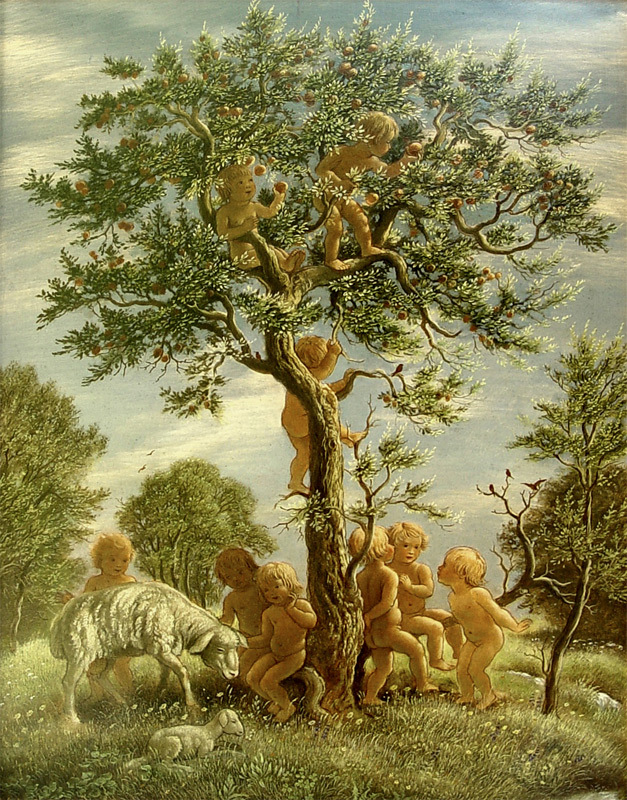 This painting is illustrated at „Lexikon der Münchner Maler im 19. 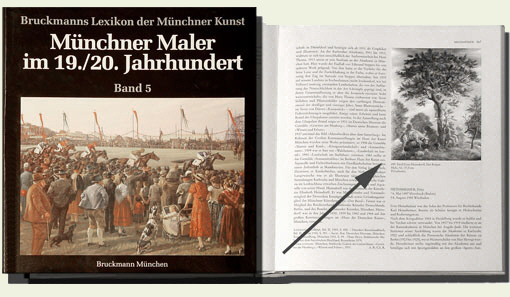 Jahrhundert“ (Encyclopaedia of Munich painters in the 19th Century), vol 5, p. 367, fig 495 (see the arrow at the right side of the book), and also listed in the catalog of the Munich Art Exhibition „Glaspalast“ 1927 by the Munich art group" Der Bund“ catalog, p. 33, no. 906 with the original title of "Children's Paradise ". 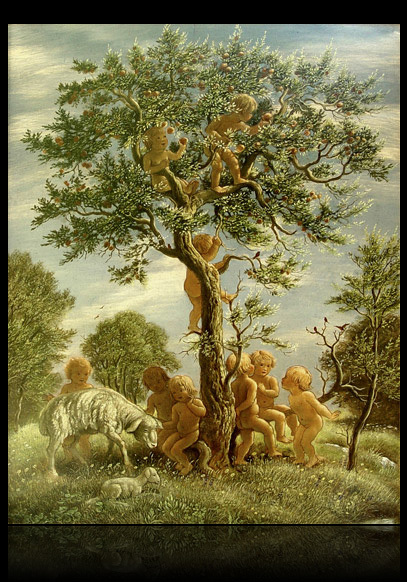 Charming painting in fine condition with original oak-frame. Further details and price on request.